Obituary for Peggy Ann (Hubbard) Whitaker | Thomas Funeral Home P.A. 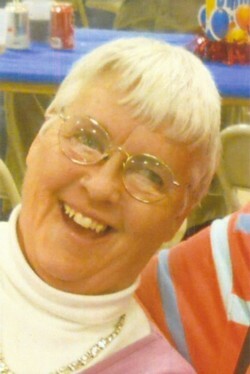 Peggy A. Whitaker, 66, of Cambridge passed away on Wednesday, April 3, 2019 at Anchorage Nursing Home in Salisbury. She was born in Cambridge on October 11, 1952 and was a daughter of Alma Jones Hubbard and the late Robert Hubbard. Mrs. Whitaker attended schools in Dorchester County. She worked at Eastern Shore State Hospital, Corner Carryout Deli in Easton and was also a caregiver. Mrs. Whitaker enjoyed flowers and gardening. She was a member of the First Baptist Church in East New Market. She is survived by her husband Franklin “Buddy” Whitaker of Cambridge, a daughter Michelle Cooper and husband Larry, a grandson Camden Cooper and two step grandchildren Korin Cooper and Karly Skipper, three step great grandchildren, a sister Elaine Willey and husband Bruce of Seaford, her mother Alma Hubbard of Seaford and several nieces and nephews. Besides her father, Mrs. Whitaker was preceded in death by a brother Robert Hubbard. A graveside service will be held on Tuesday, April 9, 2019 at 11 am at East New Market Cemetery with Rev. Buddy Spear officiating. Memorial contributions can be made to charity of one's choice. Arrangements are in the care of the Thomas Funeral Home, P.A. in Cambridge.